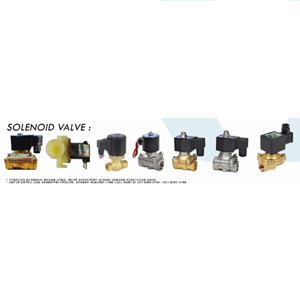 Solenoid valve is a valve that is controlled by electric current both AC and DC through coil / selenoida. This solenoid valve is the most commonly used control element in the fluid system. As in pneumatic systems, hydraulic systems or on machine control systems that require automatic control elements. For example, in a pneumatic system, solenoid valve is responsible for controlling the pressurized air duct to the pneumatic actuator (cylinder). Or on a water reservoir that requires a solenoid valve as a water filling controller, so that the tank is not empty. And various other examples that I can not explain one by one here. 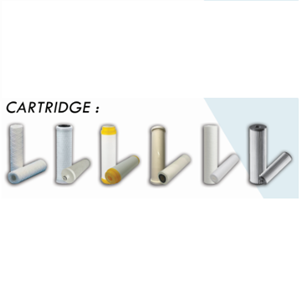 Cartridge filters generally operate most effectively and economically on applications having contamination levels of less than 100 ppm. For heavy contamination applications, water filter cartridges are usually used as a final filtration process. 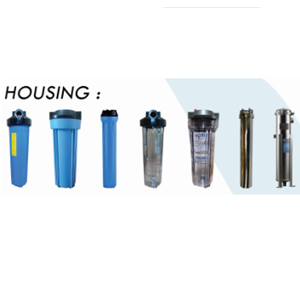 Housing filter is one component of water filter machine that is used as a small scale water filter which is usually used for 1 faucet only, where its function is same with filter in general. This product is used on the faucet for washing machine and kitchen faucet as well as bathroom faucet, The use and treatment of filter housing is quite easy because media filter can be refilled or replaced periodically.